TL;DR Super Bowl Sunday is just around the corner. This short guide will give you some tips on how to reach your audience during this busy time without having to break the bank. I also go over why and how you should use the Super Bowl as tool to meet your advertising goals. 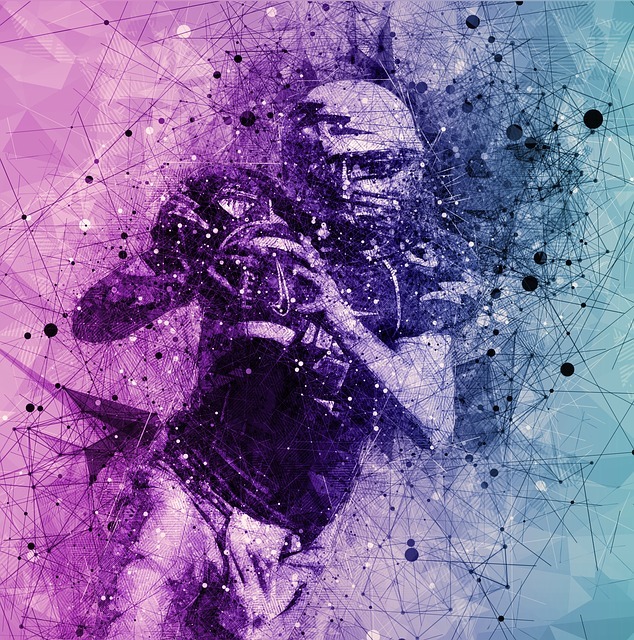 Over 111 million watched the Super Bowl last year making it the perfect time for advertisers to get the attention of a large audience during a specific range of time. However, a 30-second ad during the Super Bowl will set you back an easy $5 million and estimates are that this number will increase this year. But, let’s face it. Not every company has the budget to spend $5 million on a 30-second ad. Luckily for you, 82% of Americans say that they will use their smartphones during the game. This is great news because if online advertising is part of your marketing strategy (and it should be), then you can easily capture the attention of that 82%. No Football? No Problem: Just because your product or service is not American football themed does not mean that your ad will not be successful. Products such as candy or a job-hunting platform can still be successful as long as you are able to captivate your audience. If possible make the link to football but it is not necessary. Snickers ran their “You’re not you when you’re hungry” campaign during Super Bowl XLIV which featured Betty White. The ad had themes that were directly in line with football and featured an actual game of football where Betty White was a player. Always ran the “#LikeAGirl” campaign which did not directly contain footage with football but had themes like competition and being your best which are football-related topics. The US Is Not the Only Geographic Target: Although there will be over 113 million viewers, Canadians also take an interest in the Big Game. There are of course American expats around the world that will tune in to the game because it creates an emotional link to their home. In fact, according to the International Federation of American Football, there are 80 countries with organized football leagues. This gives advertisers the opportunity to target their ads to interests in American football globally. Tip #1: What all of this means practically is that your campaigns are not limited to the US alone. Play around with combinations of keywords that include terms like “American Football”. This will give you an indication of how well ads related to the game will be received outside of North America. Hijack keywords and time your ads: The buzz created by ads does not die down immediately following the game. Take this opportunity to make sure that your ads are seen in searches related to buzzworthy ads. Include possible inquiries, mentions of their ads, celebrities in the ads and more. There is usually a peak for searches that lasts 24 to 72+ hours after a first commercial airs. This peak is the same across multiple industries. This is the time to use your keyword hijacking skills to send the most relevant ads down the pipeline and make sure that your brand is part of the conversation. Tip #2: Adage provided a list of ads that are scheduled to run this year. Have a look to see which of your competitors or vertical-aligned companies are placing ads and have your ads ready to play based on the keywords that are relevant. Capture Attention: It goes without saying that the ads during this time should be engaging. This can be done with beautiful graphics. One way to do that is with video ads. Facebook has noticed and that is why they have been placing more emphasis on video content in the last couple of years. If you can, create one video or even a slideshow that will stand out and build a static image campaign around that. However, not everyone can make video ads. Money, time and human resources are just a couple of factors that make creating video ads difficult. That’s why we created Video Collection to help advertisers that rely on product feeds to create video ads, quickly and efficiently. You can find out more here. Tell a Story: The best time to inform potential Super Bowl viewers about your product or service is before, during and after the game. Because you don’t have to put all of your eggs in one TV basket, you can afford to tease viewers before the game, make a reveal during the game and remind them of who you are after the game. Search terms for the Super Bowl show that people already start thinking about Big Game from the conference championship games to a week after the actual game. Spend More: It is true that during peak moments in the year the cost of online advertising shoots up. This is because the number of advertisers that are bidding for the exact same period and similar demographics increases. Despite that, even with numbers sometimes quadrupling, a highly specialized and effective online campaign will be less expensive than a one-time 30-second spot. Not only that but the potential ROI from a campaign would warrant spending more during this time. This is because unlike during other peak events, advertisements are actually seen as entertainment and 78.6% of viewers actually look forward to seeing interesting ads. ROI and the BIg Game: After all is said and done. How does this convert to actual sales? Well, the truth is… it doesn’t always. Although 82% of people say they watch the ad for entertainment purposes only 6% watch it to discover new brands, products or services. However, the average lift for a brand is 13%. There are two things to take away from this. One is that if you are a “new” brand, you have your work cut-out for you. It might be harder to convert ads into sales. The second takeaway is that even if you are an unknown brand, you can create ads that will capture the imagination of your viewers. In fact, that should be your focus during the game, to increase brand-lift so that as you build other campaigns (with the final aim of selling) you will have an audience that is more likely to engage with your ads and buy your product because they remember and have an emotional attachment to you. Tip #3: Identify which section of the marketing funnel that your target audience is in and design your brand-lift Super Bowl Campaign around that. Awareness: How likely the audience is to remember your brand after they see your ad. Interest: How likely the audience is to retain the main idea of your message. Desire: How likely the user is to buy or increase the frequency with which they buy the product. Just because Super Bowl ads can be expensive, does not mean that only a few advertisers can take advantage. If implemented well, any online marketer and PPC expert can create a successful Super Bowl campaign. Want to find get more tips on special upcoming events? Download the Ultimate E-commerce Calendar. The buzz created by ads does not die down immediately following the game. Take this opportunity to make sure that your ads are seen in searches related to buzzworthy ads. The second takeaway is that even if you are an unknown brand, you can create ads that will capture the imagination of your viewers.